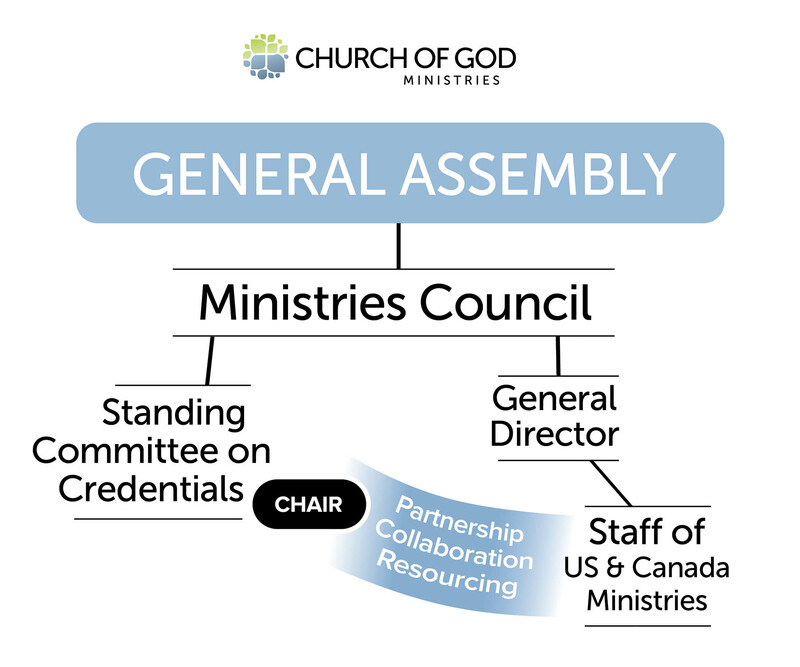 The 2017 General Assembly of the Church of God (GA) established an ongoing body known as the “Standing Committee on Credentials” (SCC). This body of seventeen members from the United States and Canada is accountable directly to the GA and empowered to act on its behalf in the implementation, interpretation, review, and future revision(s) of the GA’s Credentials Manual. The SCC always acts in accord with formal stances of the GA on any related matter. The SCC is a resource to the church serving in relation to the recognition, calling, preparation, credentialing, registering, and disciplining of ministers, congregations, and assemblies of the Church of God in the United States and Canada. It seeks to serve the GA-recognized credentialing assemblies when difficult issues lack resolution otherwise. For appropriate confidentiality, personal appeals and SCC responses to them are on a need-to-know basis and not posted. A standard form follows for the submission of appeals to the SCC as provided for in sections 1.14 and 7.70 of the Credentials Manual. The SCC may be contacted at this e-mail address: SCC@chog.org. The Operational Guidelines of the SCC and all its actions that have altered or clarified the text of the 2017 edition of the GA’s Credentials Manual are found on CHOG 24/7.